Accounting software is a suite of computer applications and programs that automate financial management in the corporate environment and help managers handle their accounting activities. Accounting software systems are designed for freelance accountants and accounting teams, based on which they vary from simple single-entry apps to enterprise-grade, double-entry solutions. The software helps reduce expenses and report accurately on your financial activities, and improves the quality of your accounting decisions. It can be deployed locally, or in cloud, depending on whether you intend to manage your own updates and security. 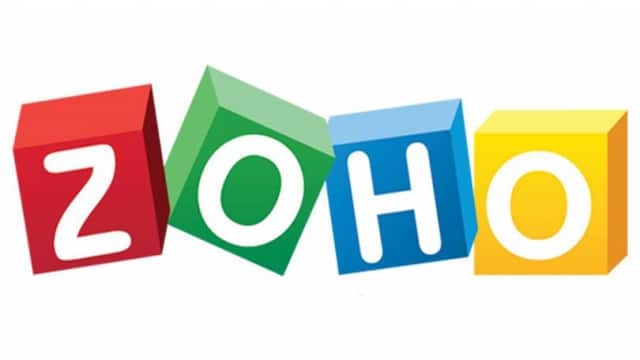 Zoho Books is the best accounting software for small businesses on cloud. Zoho Books helps you manage your business expenses and invoice your clients on the go. Easily manage your expenses and categorize them by type. Create and maintain your business contacts capturing all necessary details like currency, email, phone, billing address, etc. Maintain both products and services with predefined rates to save you time from typing it every time you create an invoice. 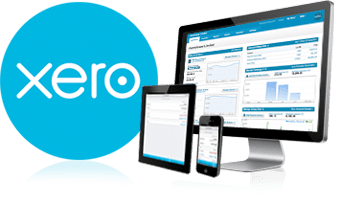 This reasonably priced accounting software developed by a New Zealand based company is popular for easy accounting and bookkeeping activities. Developed as a SaaS platform, it works online; hence it is available on any computer to users, as well as on smartphones with their apps. Owing to their integrations with more than 600 third party software, users can import bank transactions right into the software and update cash flow and financial data in real time with many more facilities. Unlimited logins make it easier for users to collaborate. However, according to user reviews, their telephone and remote support is quite difficult. The cloud based financial management solution, NetSuite is an ERP based accounting software. NetSuite is popularly known for its ability to outperform conventional accounting solutions and to seamlessly incorporate business processes and accounting with sales and services. Increasing users’ financial viewing angle, NetSuite ERP gives real time access to live financial data and generates invoices and sales orders in a click, while reducing the cost of back office operations. Cloud based accounting solution developed by a company headquartered in Canada is efficient especially for those who are self-employed and SMBs. FreshBooks takes care of all basic accounting needs for users, such as automated invoicing; billing; income/expense management; generating, downloading and even emailing reports/statements and more. Their user friendliness, customer support and quick deployment make the investment worth. Quite popular in small business and enterprises groups, QuickBooks’ online version ‘QuickBooks Online’ makes it universally accessible and lite to use. Their one of the most sought after feature is quick downloads of banking transactions due to the connectivity with various banking and credit card portals. ProfitBooks is fastest growing online accounting software that focuses much on project collaboration. Books created in the software can be shared with corresponding advisors while multiple employees accessing the projects. It is quite popular with non-accountant business personnel, as it does not require typical finance knowledge and they find it easy to operate owing to its simplicity. The automated bookkeeping platform streamlines an organization’s accounting requirements. Their online ACH payments and approval are said to have cut bill payment time by half. Their featured e-invoicing and direct deposits accelerate payments. They offer unlimited data storage with accurate transactions trailing, another feature that enhances their utility. With the introduction of SAP Financials, SAP has ventured in accounting and business finance management. SAP has kept in mind wide range of industries while developing intricate accounting features. SAP financial comes with the empowered ERP features that SAP is known for. Core accounting and finance management, payroll, fixed assets management and regulatory compliance are the noteworthy features of ERP giant SAP in accounting software. Among the other solutions by Wave, their free double entry feature in accounting solution makes them more desirable by small and mid-sized businesses, while the developer target freelancers and solopreneurs too in their user category. With this software, user can access and work on his multiple businesses with a single login. Apart from regular accounts keeping, Wave offers integrated features to manage invoices, receipts, processing payments as well as payroll. Notably, Wave is being used across 200 countries worldwide. This award-winning intuitive software developed by UK based developer is proving to be a simplification tool for accountants and businesses. Loaded with benefits of cloud platform, Clear Books is known as multi-currency accounting and even tax submissions. However, users are having a hard time with lack of autosave feature. What makes this software special is their partnership with accountants, whose inputs impact a great deal of the software utilities.